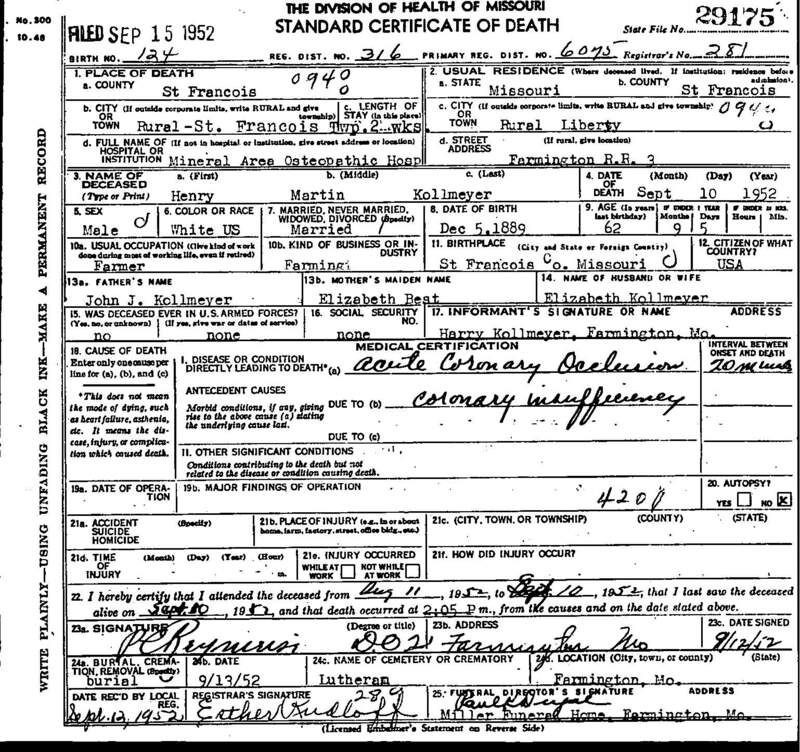 "Death Record - Henry Martin Kollmeyer"
Birth location: Kollmeyer home, east of Farmington, St. Francois County, Missouri. Cause of death: Acute Coronary Occlusion. Death location: Mineral Area Osteopathic Hospital, Farmington, St. Francois County, Missouri.